Best Tax Saving Investment Options: An Objective Review (Part 1 of 2) - In the first part of this series, we compared and contrasted the different 80C Fixed Income on some important parameters like returns, liquidity, capital safety and taxability of income / returns. 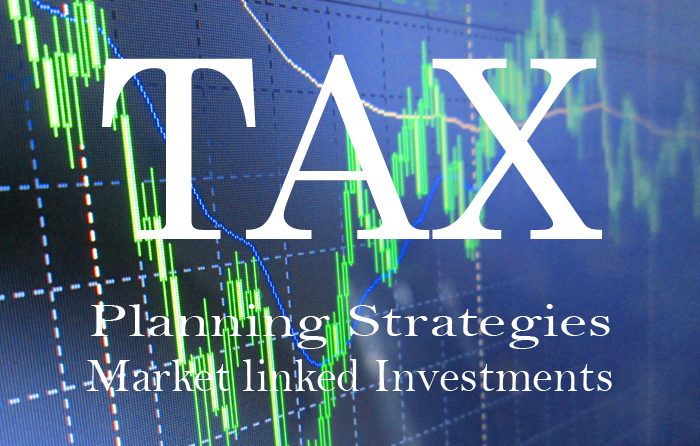 In this part we will review the market linked investments allowed under Section 80C. These are like ELSS, ULIP, Life Insurance Premiums, Pension Fund and National Pension Scheme. An ELSS is a diversified equity scheme with a lock in period of three years from the date of the investment. If you invest in an ELSS through a systematic investment plan (SIP), each investment will be locked in for 3 years from their respective investment dates. There are both growth and dividend options for ELSS. Compared to other tax saving instruments under Section 80C like PPF, NSC, and Tax saving Bank FDs ELSS has a much lower lock-in period and has the potential of offering superior returns over the long term. The added advantage of ELSS is that dividends and capital gains from ELSS are tax free. However, as with all equity investments ELSS are subject to market risk. While over a 3 year period top ELSS funds have provided annual returns of nearly 7 – 12% (see article on Top 6 ELSS), a lot of schemes have also disappointed and average returns are quite low. However over the long term ELSS can generate very attractive returns. The table below lists the schemes which have generated highest annualized returns over a 5 year period. While weakness shown by Sensex in the last few days due to global cues, maybe a cause of trepidation for potential investors, one must note that equity mutual fund investments are essentially long term in nature. Most experts agree that the market is bottoming out, and as such this is a good time for investments in ELSS. While historical return is an important parameter for selecting mutual funds, there are other important considerations like the track record of the Asset Management Company (AMC) and the fund manager. The most important thing to note about life insurance is that objective is to provide life cover, not to generate the best investment return. In fact, investment returns of premiums for life insurance policies is one of lowest in the entire spectrum of 80C investments, with average annual returns over a 5 year period in the range of 5 – 6% . The only way 80C status benefits life insurance investment is that, it reduces the cost of insurance, since insurance premiums are deductible from taxable income, up to the overall cap specified under 80C of Rs 1 lakh. The maturity proceeds from life insurance is tax exempt as per the provisions of Section 10 (10D), as long as the premium payable for any of the years does not exceed 20% of the actual capital sum assured. However, the amount received on death is entirely tax free. While even on tax adjusted life insurance policy may not be as attractive as some of the other tax saving investment options, it is very important, from financial planning perspective, that one be adequately insured. The investor can opt for active and auto allocation options. In the active allocation option the investor can opt for asset classes based on equities (E), corporate bonds (C) or Government Securities (G). Asset allocation to equities and corporate bonds are subject to market and credit risk. In the auto allocation option, the investments will be allocated to different asset classes based on pre-determined (age based) allocation criteria. Under current tax laws, the maturity proceeds are taxable, though this is likely to change in the future. In terms of recent investment track record, National Pension Scheme funds have given lower returns than comparable ELSS investments, example average 3 year for E class funds is only 4.2% compared to 7 – 12% for top ELSS funds. Therefore savvier investors with well defined retirement and smart asset allocation through mutual funds systematic investment plans (see article on Retirement Planning with Mutual Fund SIPs), may be able to generate higher returns compared to National Pension Scheme. Pension plans offered by Mutual Funds do not get as much of mention, compared to the other retirement planning and tax savings solutions like PPF, Insurance Plans etc. UTI Retirement Benefit Pension Fund was the first fund to be launched in this space in 1994 followed by Templeton India Pension Plan in 1997. After a gap of 15 years, Tata Mutual Fund came out with a retirement savings fund in November 2011. UTI and Templeton have balanced fund for retirement planning with 40% allocation to equity and 60% allocation to debt. Tata MF has three options, conservative, moderate and progressive, with increasing allocation to equity in the 3 options.